The fundamentals of Functional Safety have been further highlighted in the industry through highly publicised asset integrity disasters. The importance of following Functional Safety Lifecycle in accordance with IEC 61508 / 61511 standards is key as concepts have become embedded in regulatory requirements. 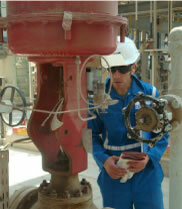 Safety Instrumented Systems (SIS) are critical in maintaining a safe environment within the Oil & Gas Industry. They represent methods of reducing the likelihood of hazardous scenarios occurring by either preventing or mitigating escalation. Functional Safety studies are performed with the objective of providing assurance that safety related systems offer the appropriate level of risk reduction to achieve the required protection for equipment. We use our in-house developed software tools primarily for Safety Integrity Level (SIL) and Layers of Protection (LOPA) studies.